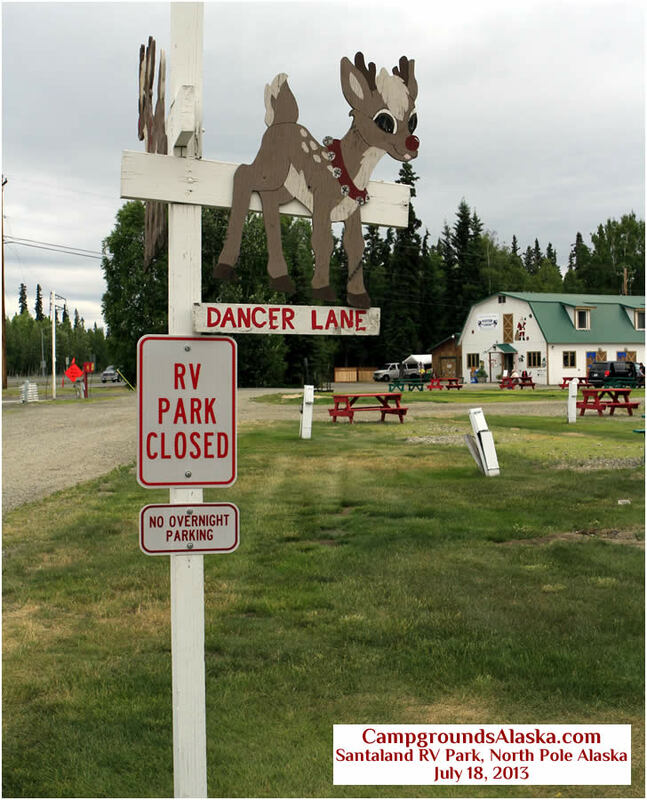 Are you the owner of Santaland Souvenir Shop & RV Park in North Pole Alaska? Did you know that you can convert this page to a complete listing of your services today for nearly nothing? Put your listing in front of visitors planning their trip to Alaska. Add your own coupons, pictures, services and more. Full advertiser packages available. Contact us today, we're your neighbors and friends so don't be shy. While Santaland RV Park has been closed for a few years now, the gift shop next door is still open for business and doing just fine. Lot's of parking is available at this top attraction in the Fairbanks/North Pole area.